The Church Pension Fund - This link is specifically for the Church Pension Fund, which offers defined benefit and defined contribution pension plans for clergy and lay employees. New Assignment Notice - Use this form if you are beginning a new assignment. Compensation or Duties Change Form - Use this form to report any compensation or duties changes for clergy. Guide to the Short-Term Disability Benefit - A four-page document from Church Pension Group regarding short-term disability benefits for clergy. Guide to Benefits Under the Clergy Pension Plan - From the Church Pension Fund, this guide provides the Clergy Pension Plan benefits & rules. Pre-retirement Survivor Benefit Beneficiary Designation Form - This Church Pension Fund letter and form is used to name a pension beneficiary for the receipt of pension benefits if you die before retirement. Federal Income Tax Status of Church Pension Fund Benefits (re: Housing Allowance) - This one-page document will help clergy calculate housing exclusion amounts for retirees. 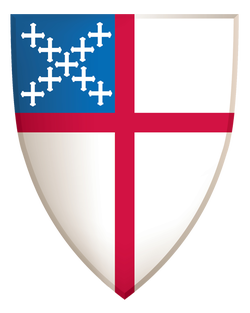 2016 Tax Guides - Visit this Church Pension Group webpage to obtain documents regarding 2015 tax information and preparation for clergy and administrators. Clergy Pre-Retirement Checklist - A handy one-page document from the Church Pension Fund to assist clergy in preparing for an upcoming retirement. State Withholding on Benefit Payments - This memo regarding state tax withholdings is from the Church Pension Fund. The Fund will accommodate your state tax withholding on benefit payments from the CPF.